The 2016 Cadillac CTS comes with quite a few significant updates. Under the hood, an all-new 3.6L LGX V6 sits in place of the outgoing LFX V6 of the same displacement, connected to the new 89L45 8-speed automatic transmission with a 2.85 rear axle ratio, which replaces the 6-speed auto with a 3.45 axle ratio. It also delivers an automatic Stop/Start system for the 2.0L LTG engine. The 2016 CTS 3.6 we tested also incorporates the Engine Sound Enhancement feature that reminded us of the 420-horsepower twin-turbocharged CTS V-Sport by emitting the engine sounds of the 335 hp LGX via the Bose sound system into the cabin. But these improvements and updates could very well go unnoticed to the luxury vehicle customer who apparently can’t be bothered with such trivial matters. However, there’s perhaps one feature that buyers will be quick to pick up on: Apple CarPlay. Apple CarPlay has been one of the hottest and most anticipated new vehicle technologies for the past year. And General Motors was smart to incorporate the technology as quickly as it did, just in time for 2016 model year rollouts and essentially before any other major automaker. In short, Cadillac has a bit of a unique selling proposition at hand with CarPlay in a market that has become increasingly tech-focused. (And this isn’t even mentioning the built-in 4G LTE Wi-Fi capabilities provided by OnStar and AT&T.) Want CarPlay in an Audi? Gonna have to wait until calendar 2016. BMW? Late 2016. Mercedes-Benz is currently offering it only in the new C-Class for now, with others to follow. Meanwhile, New York-based Cadillac features Apple CarPlay on all 2016 models with the 8-inch CUE touchscreen infotainment system, sans the outgoing 2016 SRX crossover. But this means that the 2016 ATS family, the 2016 CTS family, the 2016 XTS and the 2016 Escalade — all now equipped with Apple CarPlay. Future products like the 2016 Cadillac CT6 full-size sedan and 2017 Cadillac XT5 midsize crossover will more than certainly have it when they launch, as well. So the question remains: is Apple CarPlay useful? 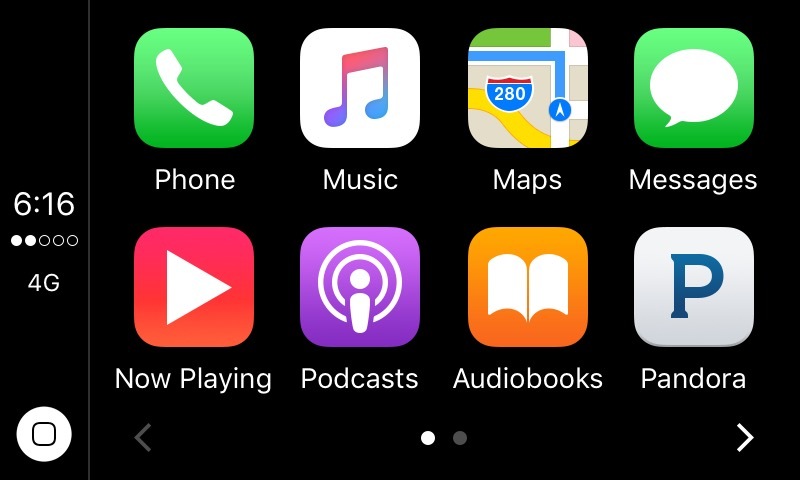 Tapping the CarPlay icon brings us to a screen that’s a variation of the iOS home screen, the one with icons that at all iPhone users should instantly recognize. From there, going into one of the available apps displays an interface that’s been modified for a vehicle’s touchscreen. In other words, it’s not a direct mirror of the iOS interface, but rather an adapted version with bigger buttons, icons, and other interface elements that are easier to tap in a vehicle. That’s not to say you can play Clash of Clans, browse your email, perform a FaceTime video call, or through Facebook, or read GM Authority; which apps run on the system are currently limited (see the end of this review), as are what you can do with the available apps when the vehicle is moving compared to when it’s stationary. Apple says it’s done extensive work to limit and streamline its approved CarPlay apps so that they minimize driving interference. For example, the Messages app won’t allow the driver to view messages on the screen while the car is in motion, but Siri will be more than happy to read them out loud. The Apple Maps app also won’t let you input a destination while driving, and you won’t be able to perform a search for songs using the keyboard. It is too early to tell if these limitations will make people scramble for their phones to override it all in the first place, or to simply make them use the voice-based Siri assistant instead. To note, To note, the iPhone is fully functional when it’s running CarPlay, though launching an app on CarPlay will also launch it on the iPhone itself. The Apple CarPlay system itself is mostly powered by the iPhone, but the hardware of the vehicle — primarily the quality, color representation, and responsiveness of the touchscreen — will ultimately define the overall user experience. In the case of the 2016 CTS, the 2016 CUE updates that make CUE snappier overall play in the car’s favor, though CUE’s buttonless issues remain. All the bells and whistles aside, I’m not sold as to whether or not using a device that mimics a smartphone while driving is any safer than using an actual smartphone while driving. Maybe one day we’ll all stop lying to ourselves and realize that the idea of using a mobile device while operating a vehicle are activities incapable of co-existing “safely”. Even so, there’s always the option to not touch anything at all by using Siri. 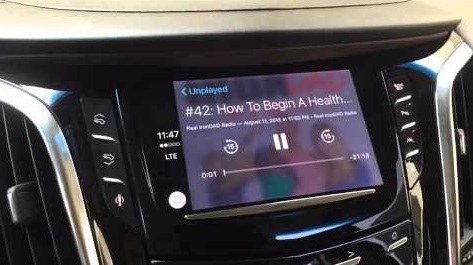 So, back to the original question: Is CarPlay useful? Those who have been aggravated with OEM infotainment systems for being too clunky, too ugly or whatever other issue, while being completely satisfied with their Apple iPhone will appreciate CUE. It’s useful in a sense that it gives drivers a user experience that’s nearly seamless between their vehicle and the iPhone. It’s not a full-blown emulator, but it’s the closest thing to being one. At least for the time being. From what I read the opposite is true about Apple Carplay. In that it’s more dependent on the iPhone and not the Car radio Hardware. What you say is true. What we mean is that the quality of the touch screen will ultimately define the user experience. We’ve updated the text to reflect this. Anyone know if we can rig at Gen 2 CTS-V to run Carplay? Not without going to an aftermarket head unit that supports it. But I don’t think you want to do that. Having used the system myself, I really like it… but I don’t think it’s worth it to tear up your center stack and break up the factory appearance of a V.
I hope this won’t be standard stuff in high end trucks and SUVs … I don’t need it. I also use all Apple products and I welcome CarPlay. It is so much better than what is offered by the factory systems, with some exceptions (Audi, Benz, BMW). I would ask you: how is it any more distracting than the slow to scroll and ugly factory system? 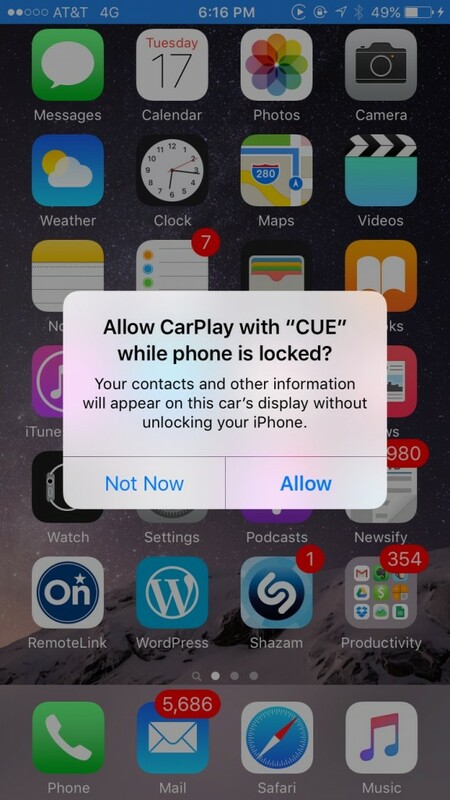 I’d argue that users who are accustomed to iOS will feel right at home with CarPlay which will make it safer to use it (compared to the interface of a factory system). And that’s not to mention the obvious safety benefits of Siri Eyes Free, which beats any OEM voice rec system hands down. And yes, it will be standard. But you don’t need to use it. You can stick to the factory system as well… though I don’t know why you would. Except 85% of the world uses Android, NOT Apple iOS. Android Auto is coming, Apple CarPlay is already here. We’ll review it when it actually launches. Nobody here is talking about cellphone market share. Over half of the smartphone world is iOS. If you want to talk about cheap and incapable feature phones and dumb phones, then yes, Android has a higher market share. None of those are in the same category as a smartphone. Back to reality for you. Oh yeah, and luxury car buyers are iPhone owners, by far and large. Looks like it’s back to marketing 101 for you, Mr. Um. Have a seat little buddy. Let the big boys talk.